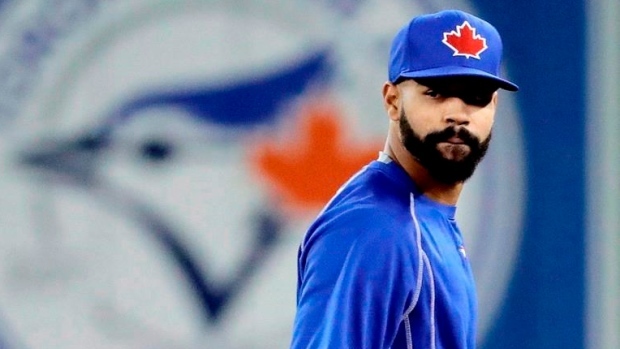 The Blue Jays announced that outfielder Dalton Pompey was scratched from Thursday's lineup after he bumped his head on some bats that were located on top of his locker. Pompey, who has a history of concussions, is currently being evaluated. Pompey was originally supposed to get the start in centre field against the Philadelphia Phillies in Clearwater, but was replaced by Josh Palacios. Through 14 spring games, Pompey is hitting .282 with seven runs driven in. The 26-year-old is out of options, meaning he must break camp on the Blue Jays' 25-man roster or be exposed to waivers. Due to a variety of injuries, he has appeared in just 13 big league games since 2015. In 145 MLB at-bats, he has a career batting average of .221. The Blue Jays will be back in action on Friday against the Baltimore Orioles in Dunedin.